The year was 1993. We started out as a normal young married couple, settling into a new city with new jobs. As soon as we bought our first house, we adopted 2 dogs form the shelter to be our pets. The dogs got daily walks, and were chubby pet weight dogs. And then in 1996, life as I knew it changed forever…I saw a flyball demo at the State Fair of Texas. Like many other pet owners, I took the next step towards taking classes to train my dog to play flyball, and I never looked back. Soon, a cute border collie pup became available in a litter bred by one of my new teammates. 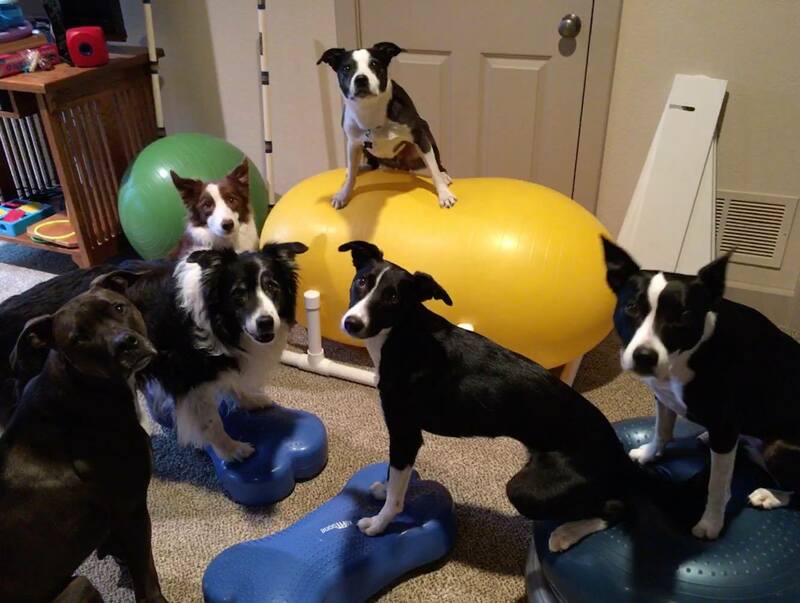 I never knew any border collies personally until I joined a flyball team, but soon fell in love with the breed. And so Targa joined our family. And, as the flyball virus grew within me, I looked forward to team training once or twice a week and traveling around the country (and even Canada) for competitions. The majority of my friends compete in at least one dog sport, if not more. My trusty car was replaced with a minivan. I have no kids, but a minivan is perfect for transporting dogs (in crates) and flyball equipment. More dogs joined the family. First border collies, and then I fell in love with some of the mixes purpose bred for flyball. We now have 6 dogs. 2 border collies, 2 border staffies, 1 border whippet and a rescue bully mix my husband wanted who could be “his dog” while mine were off training and competing. And as the latest step in my evolution as a flyball dog mom, we have purchased a brand new motor home. What better way to keep my fur kids comfortable while we are at competitions? No need to stay in hotels. We can sleep in our own bed, just steps away from where we will compete. And the retired flyball dogs can now come along to visit their old friends instead of staying home with my husband. My young self in 1993 would never have predicted my life today as a Flyball Dog Mom, but I would not trade it for the world!